If you haven’t been living under a rock for the last two days, you’ve probably noticed that the internet is losing its mind over the infamous dress that’s seen by some as black and blue and by others as white and gold. This got us thinking: regardless of how you see the dress, how does your state tax code see it? Check out the map below for how your state treats the purchase of clothing (including that dress) under the state sales tax. Is it taxable, or is it exempt? 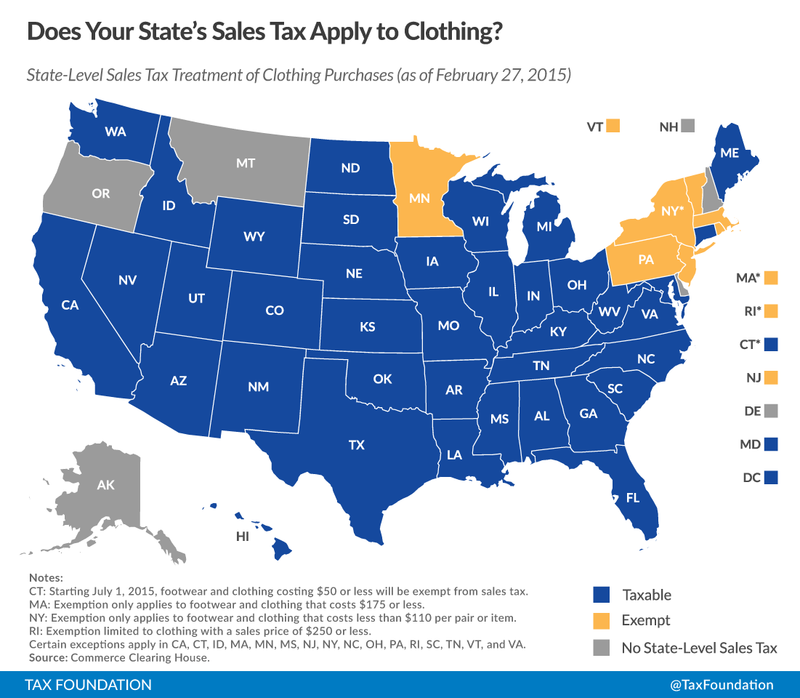 Thirty-eight states plus D.C. include clothing purchases in the state sales tax base. Seven states exempt the purchase of clothing in some fashion. A full sales tax exemption applies in Minnesota, New Jersey, Pennsylvania, and Vermont. Clothing up to a certain cap is exempted in Massachusetts (up to $175), New York (up to $110 per item), and Rhode Island (up to $250). The ideal sales tax is one that has a broad base that taxes all final consumer purchases. This type of tax base is ideal because it’s neutral, simple, and stable. A broad base also allows the overall tax rate to be lower than it would be with an otherwise narrow tax base. With that in mind, even we can't explain why some states see this dress as taxable, while others are adamant that it should be exempt. Follow Liz and Rich on Twitter.